Campers using the well laid out campsites with their stunning view of Paindane bay, will have access to clean modern ablutions, electrical plug points and clean water. All campsites at Paindane can accommodate 12 people. Our campsites are sand, as we are on the side of a dune. We cannot plant grass as we do not have the fresh watersupply for this. The campsites are sloped and not terraced, as this will prevent clients with trailers and campers to get on to the camp sites. 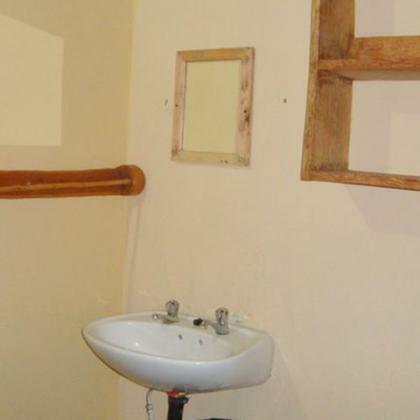 A clean modern ablution catering for the camp site. Baraccas are 8X4MT traditional shelters, available on selected campsites. 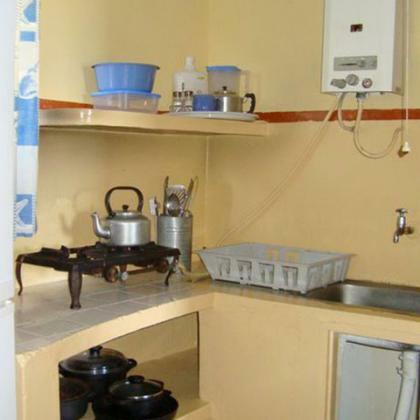 These shelters consist of a thatched structure with a concrete floor, kitchen worktop, light, plugpoints, and a braai. 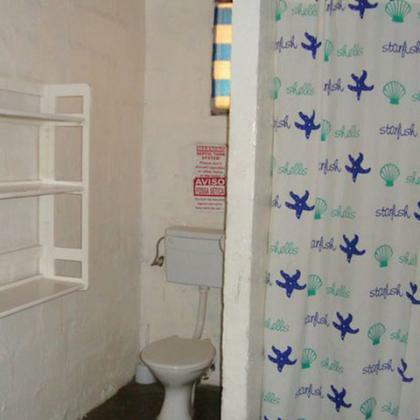 USE THE MAIN ABLUTION. 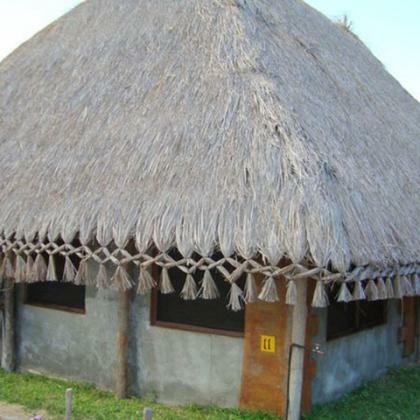 The Casitas are 10X5 traditional shelters , available on selected campsites each with its own ablution facilities, and an adjoining kitchenette. light, plugpoints, and a braai. 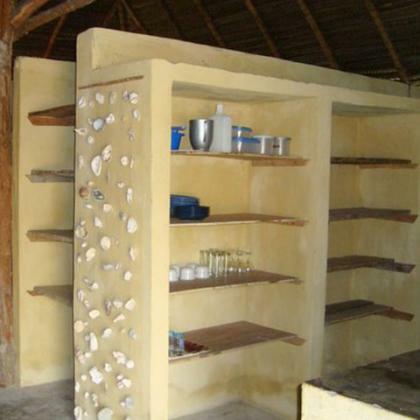 Casitas have ½ cement floor and ½ sand, as some clients like to erect their tents under the roof. 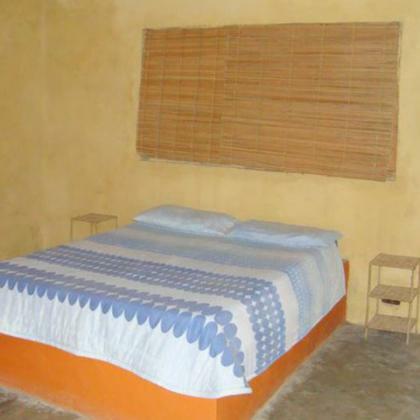 The basic rustic Mozambique style chalets consist of one, two, three, four, and six bedrooms, a bathroom, a kitchen and a dining room. Selected basic rustic Mozambique style chalets have four/three separate bedrooms, 2 bathrooms, a kitchen and a dining room and a braai. 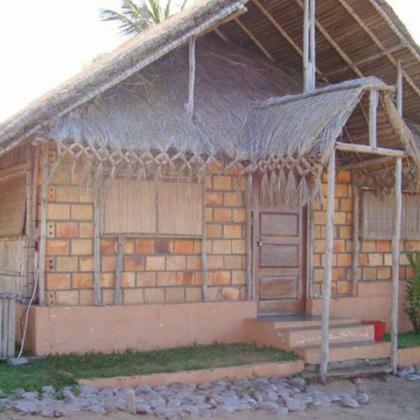 Selected basic rustic Mozambique style chalets have large stoops. Hot water supplied for the bathroom with a gas geezer. 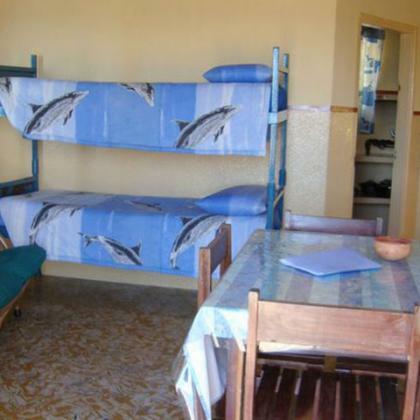 Bring your own towels, all bed linen is supplied and kitchen utensils. The first toilet roll and black rubbish bag is supplied. A House keeper may be hired for your convenience at reception, this is to help the local population to have an income. 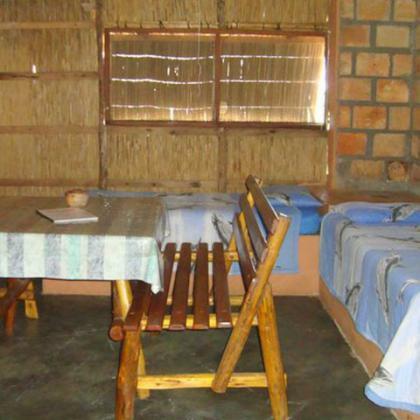 The large basic rustic Mozambique style chalets have four separate bedrooms, 2 bathrooms, a kitchen and a dining room. Please also note that most of the chest freezers have been replaced by frigde/ freezer combinations. Kindly contact the reservation office to find out what type (box freezer or combo fridge freezer) the chalet has which you have booked. You may bring your own fridge/freezer for your comfort. Gasstoves only have 3 burners. No ovens. The Chalets are fully equipped, but please ensure to bring your own towels and mosquito nets as well as your own black rubbish bags. All boats must be left on the beach at the Dive Centre. Security Guards will be available 24 hrs . All loose equipment must be removed. Kindly take note: only use the roads and the one foot path down to the beach. Do not make paths down the dunes or cut any vegetation on the dunes to make foot paths. GOOD NEWS!!!!! WE HAVE ELECTRICITY NOW FOR 24 HOURS! BUT WE ARE IN AFRICA - YOU MAY BRING YOUR OWN GENERATOR AS WE DO HAVE POWER FAILURES FROM TIME TO TIME.